My friend Leonard Lee works in the oil industry across San Juan County, Utah, both on and off the Navajo Nation. He oversees oil and gas wells and the crews who work them. So it may surprise you that Leonard is also the Vice-Chairman of a Native American organization that intends to protect 1.9 million acres of land as a national conservation area or national monument in San Juan County, Utah. The Bears Ears proposal was developed by Diné leaders like Leonard who were asked by U.S. Senator Bennett in 2010 if they had an opinion on public lands management. 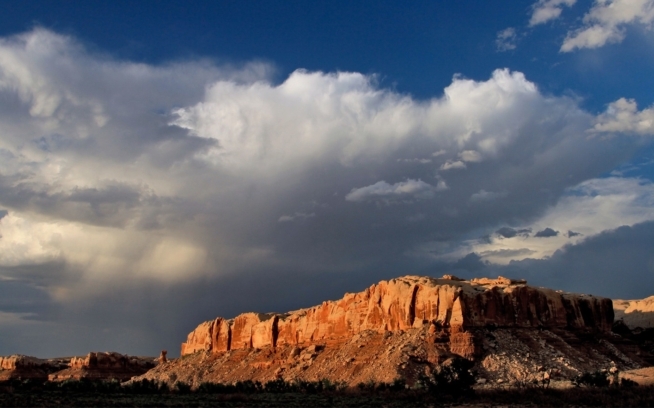 Never having been asked before, Navajo elders began telling stories. Hunters, gatherers and medicine men worked with conservation scientists to draw culturally important and sacred places onto maps. At the same time, spiritual leaders took their long-buried hopes and offered them to the winds as prayers for a place we call Bears Ears. Eventually, we formed Utah Diné Bikéyah as a Navajo conservation nonprofit to advocate for this area, recruit other tribal voices and share our vision to protect this ancestral landscape. Over time, we have advanced the Bears Ears proposal quietly and with great respect for the process and people involved. Even so, you’d be surprised how difficult it is to get the local county commission to acknowledge the legitimacy of our request. Despite challenges at the local level, support for Bears Ears continues to grow. San Juan Counties recently conducted a public comment process, with the idea that the county would make “ground-up” recommendations to Congress that reflected local input. Utah Diné Bikéyah carried the Bears Ears proposal and County alternatives to the people and created an effective grassroots organizing campaign during seven straight days of Town Hall meetings at each Utah Navajo Chapter House. A local Navajo woman and Bears Ears supporter cooked vats of mutton stew, made piles of fry bread, and we all listened to stories and heard again why the Bears Ears landscape is so important to the people. Manuelito guided hundreds of Navajo into this maze-like refuge to save them from the Long Walk of 1864, when Navajos were forced by the U.S. army to march from Arizona and Utah into a new reservation in New Mexico. Those who stayed in hiding for four years were spared the trauma and death of the Long Walk, Diné were allowed to return home in 1868 and Utah Navajo People came out of hiding to re-occupy what is now the Navajo reservation. But even today raids continue as pothunters steal from Native cultures objects that are not theirs to possess or sell. 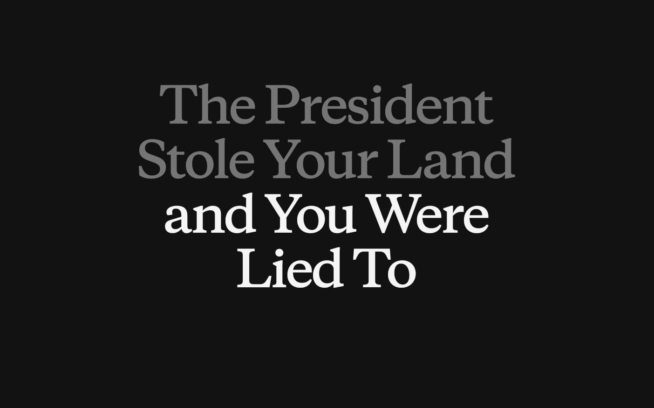 Looting of Ancestral Puebloan ruins and gravesites continues, and it is exactly landscapes like the Bears Ears that the Antiquities Act was designed to protect and secure on behalf of all Americans, including Native people. Bears Ears represents our way of life, our spirituality, our language, our culture and our entire future. We heard unanimous support for conservation designations. The Bears Ears proposal won 64% of all comments submitted, yet San Juan County continues to insist on conservation proposals that do not reflect Native American conservation interests. Support for Bears Ears continues to grow with resolutions of support from more than 23 Native Nations across the southwest, yet we need help from other like-minded citizens. Congressman Rob Bishop, the powerful Republican who chairs the House Committee on Natural Resources, plans to pass omnibus legislation that includes conservation, recreation and development components, but at this moment we do not know the extent to which our spiritual and cultural needs will be drawn on the map. Like many leaders, Leonard Lee understands the importance of jobs to Native people, and improving the economy to raise the standard of living for our people. But he also knows there are some things money can’t buy. We will continue to try to work with Congress, but we know we need help from outside of Native American communities. We hope that other people who care about protecting public lands will SIGN OUR PETITION. We are also asking the President to consider using the Antiquities Act if the Bishop legislation does not meet our needs. The Antiquities Act was specifically designed to protect antiquities such as those found throughout the Bears Ears proposal and it is appropriate to request executive action if our proposal is ignored or blocked by a handful of sagebrush rebels in San Juan County. Even though the Bears Ears National Conservation Area/National Monument began as a Navajo proposal, there are more than a dozen other Tribes that also share cultural ties and ancestral heritage to this place. For this reason, Native American Tribes are working together across cultural divides to protect one of America’s greatest treasures, Bears Ears, on behalf of all citizens of the world. These lands need not be possessed by humans, nor should their wildness or riches be exploited. Bears Ears simply needs better stewardship and stronger protection from threats such as mineral development and looting by pothunters. We are not asking for exclusive use, but rather we seek recognition for a landscape that holds deep value to all American people. Help protect Bears Ears in southeastern Utah. Willie Grayeyes is the Chairman of the Board of Trustees for Utah Diné Bikéyah. If you’re a climber, chances are you’ve dreamt of climbing here or, better yet, you actually have. It’s a region that includes some of the most perfect (and the most crumbly) climbing on earth: Valley of the Gods, Texas Tower, Jacob’s Chair, Cedar Mesa, the Abajo Mountains and, dear to climbers, Indian Creek. But we weren’t the first climbers on this remarkable landscape. Ancient people climbed precarious routes and built dwellings high in the cliffs. As the threats of oil drilling, looting and massive increases in visitors mount, local climbers, conservationists and Native American communities are joining forces to protect the area that they call Bears Ears. 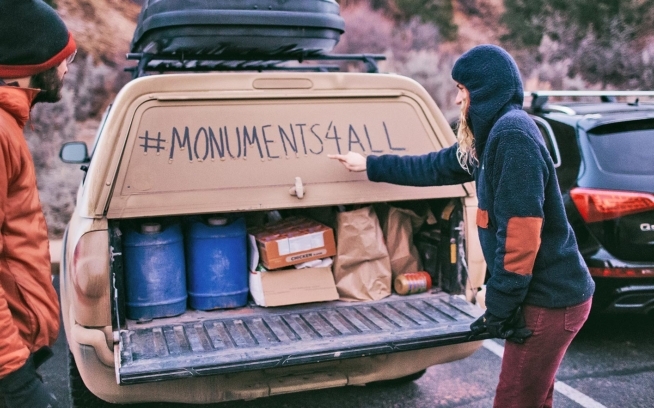 You can help preserve access and honor ancient climbers with your action. Stand with us.